So a lot of you know took time off the blog, and work in general, last month. It was a much needed change of pace which allowed me to reconnect with myself, my creativity, and also get my adulting on. Seriously, I let so much fall to the way side which threw me out of alignment! Taking care of all the #adulting responsibilities I’d been putting off felt SO good that I knew I needed to share it with you guys! Before we jump into my 31 day adulting challenge, I want to stress that you can do this in ANY order! I wrote it out where you’re tackling the harder stuff first – but if you want to stop from the bottom and do it in reverse order, go for it! We’re covering some BIG areas that I know, if you’re like me, you’ve been procrastinating so take it at whatever pace you prefer! If you get stuck on any of them, don’t worry, you can always come back to it next month! Plussss… I have some posts in the works to take you through the exact steps for tackling some of the tougher ones on the list, so make sure you keep checking back each week! P.S. Share on social media using #31dayofadulting & tag me! Day 1: Usernames and passwords. Anyone reset their passwords and have fifteen million emails that they spend 30 minutes of their week trying to guess the super secret combo only to have to reset the username AND password because you just can’t figure it out?!? Nope, I’m the only one?! Well, take the time to put your username and passwords somewhere safe, secure, and organized to save yourself a headache and time down the road! Day 2: Locate and securely store your social security card, birth certificate, and passport. Day 3: Create a savings plan or debt repayment plan. Is this the year your finally going to pay off that big credit card? Or better yet, start saving for that home? Take the time today to create a game plan for one of your financial goals. Look at how much money you need to reach your goal, then figure out when you’d like to reach that goal. Figure out how many months that’ll give you, then divide the total funds needed to reach your goal by the number of months until your goal date. Viola! You now have a plan and a fixed number to put into your budget! Day 4: Automate some savings. At work: Get with your employer and ask if you can divert a portion of your paycheck into savings. Some allow you to do this by a fixed dollar amount, others a percentage, either way, out of sight, out of mind = winning! Apps: There are many savings apps out there today. Acorns automatically invests your spare change. Digit, now charges $2,99 per month, crawls your accounts and basically analyzes your spending habits to find money to move to savings for you & pays you a little in interest, truly the lazy mans saving option. Speaking of interest… if you’re not super lazy, and can look at your account and move some money to savings on your own every month (or divert a portion of your paycheck to savings every month) consider opening with Ally (it’s the bank I’ve used for years!). By making the switch from big brick and mortar banks into a high yield savings account with digital banks like Ally, I’ve been able to earn hundreds of dollars! Seriously, I went from earning .01% interest on my savings accounts to 1.25%! Can I get rich off of that? No… but it sure is nice to have a few extra hundred dollars every year just for keeping my savings somewhere that thinks about me a little bit more! Day 5: Set up deposits to a retirement plan. Seriously, it only takes $50 or $100 to open an IRA, so use some of that holiday money to get started! Then, even if it’s your only contributing $5 per month to get started! Check with your employer and see if you can divert a fixed dollar amount or percentage of your paycheck into a separate account from your checking. That way the funds automatically get set aside from the previous step! Out of sight out of mind! Day 6: Create a budget. On that “new year, new me” high? Great! So now is the time to check your bank accounts and actually create a budget! You probably should’ve seen that coming from the last too, eh? I started with the previous two because paying yourself FIRST should be priority #1 before you start dishing out your hard earned cashed to big box retailers and your landlord. So now that you have those numbers fixed, let’s look at your overall financial picture. A great rule of thumb is the 50/20/30 guideline. Basically 50% of your income goes towards necessities (rent, insurance, utilities, etc.) 20% goes towards financial goals (debt repayment, saving, etc.) and 30% goes towards your lifestyle (clothes, gym, subscriptions like Netflix or Hulu). Again, it’s just a general rule of thumb to get you started so feel free to flex it to your unique situation! Day 7: Receipt organization system. The best way to know where TF your money is going is to track it! Download an app like Receipt Hog or Waveapps to start saving your receipts. I promise it’ll help you refine your budget! …alright, that’s if you’ve made it through week one, congrats! I promise, it gets easier from here, I figure, let’s start with the hard stuff and then the rest will feel like a breeze! Day 8: Set appointments for health. Make those annual physical exams, two dental cleaning, and gynecologist appoints if you don’t already have them scheduled! Seriously, just schedule them, even if you need to reschedule, at least you’ll have it on your calendar to deal with at a later date. Day 9: Set up an auto back up for your computer. LBH, our lives are digital now, so back that ish up! There are auto-backer uppers like backblaze or icloud. But keep in mind that a back up is just that, a back up! If you delete something off your computer, an auto back up will delete it *usually* within 30 days too. Or you can use an external hard drive to back your stuff up, but again it’s JUST a back up, not storage, so when your hard drive runs out of room, it’ll start erasing your oldest stuff! Day 10: Digital clutter dump/storage. Okay, so I probably freaked you out about your digital back ups, so what’s a girl to do with her digital life? STORE IT! YUP! I spent the last monthly moving EVERYTHING off my computer to cloud storage (thanks google drive!) so if I delete it off my computer, it’s always with me in the cloud! No need to worry about back ups erasing it either! Day 12: Organize digital / planner. Now that everything is cleaned out, let’s make sure we create a schedule to keep it that way! Organize your digital life using a calendar or trello and set due dates to make sure you’re on top of keeping things clean clear and on schedule. For example, one the 7th of every month, you’ll do a digital dump again and on the 11th of every month you’ll shred all those pesky mail docs. You just went through the steps, so you know how good it feels to have thing clean and organized! Don’t let it all pile up again! Day 13: Clean your inbox. Inbox zero exists. I know because I’ve been there. Everything gets deleted, archived, or boomeranged. It’s blissful. Yeah, it’s time to check those credit scores! Visit this site to check your credit reports. from the bureaus directly! Remember, your credit is weighted on most recent activity and tons of other factors that you can read about here. Day 15: Cook a meal. Leave the take out menus in the drawer tonight and flex your cooking muscles! It might not feel like it now, but it actually boosts creativity, self esteem, and is a great mindfulness practice! Not a cook? No problem! Start easy with something simple like steamed broccoli, pasta, and a chicken breast! Day 16: Dump expired stuff. While you were in the kitchen the other day you may have noticed some things growing mold in the back of your fridge… okay just me again? *drops head in shame* Anyway, spend tonight wiping down everything in your fridge, and dumping anything that’s expired in there or in your cabinets! – Legit just found two loaves of bread in a cabinet from the hurricane we had 4 months ago… oops! Day 17: Clean your sheets. Nobody likes bed bugs or a nasty gal *or maybe we do? I can’t keep up with is nasty girl a good thing or bad thing these days? * Anyway, just clean your sheets. Especially if you’ve been breaking out on your face, it’s probably a sign your pillow case needs to be washed! Day 18: Empty your bags and pockets. You never know what you’ll find! Like that time I accidentally found $200 in my pockets… oops! Or this pretty seashell! Take some time to dump out all of your bags (purses, gym bags, back pack, etc.) and pockets! While you were going through your pockets, you may have noticed some questionable fashion choices in the back which you haven’t worn in a year… Yeah, let’s get all of those out of there! Create four piles: keep, dry clean, toss, and donate. Yeah, today’s the day to actually take all those donation bags to Goodwill. Seriously, get them out of your house and car! Day 21: Clean out social media. I know people love the social media detox – but i think that’s kind of unrealistic. For many of us, our lives (and livelihoods) are on social media so we can’t avoid it but we can clean it out! Unfollow people who just don’t jive with you anymore. 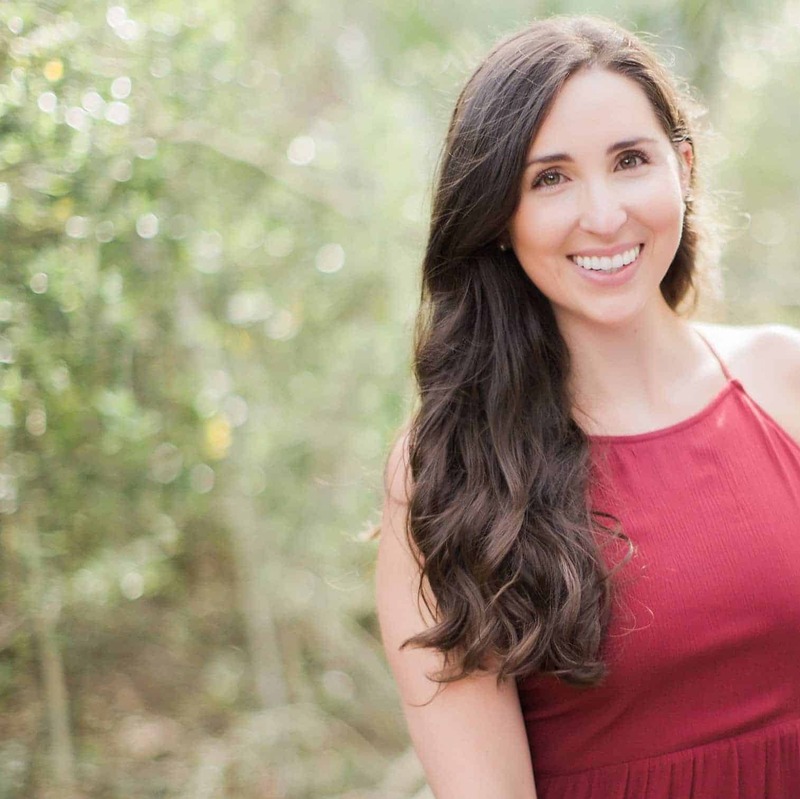 Seriously, Andrea from Hustle & Hearts just unfollowed everyone on Instagram and is slowing following people back in an effort to focus more on building deeper relationships, and honestly, has me thinking about doing the same! Worried that if you unfollow you’ll hurt someones feeling? The mute them so they don’t show up in your feed! It’s SO nice when you don’t have to see that stuff! Today’s attitude is gratitude and it feels oh so good. Send someone a thank you note. Pause to compliment or express gratitude to someone who has helped your recently – especially if it’s out of the blue or face to face! Day 23: Pay it forward. Day 24: Network with one new person. Whoever said no new friends had it all wrong. Life is about exploring, innovating, and growing and what better way to do that than networking?! Whether it’s professional or personal networking, focus on making a new connection today. — And if you’re feeling overwhelmed, start here! Seriously, if you been reading the blog but never left a comment, this is your chance! Say “hi!” introduce yourself! Day 25: Revisit an old relationship friend, mentor etc. 🎶 “Make new friends but keep the olddd one is silver , the other is gold” …remember that little ditty from elementary school? Yeah let’s make sure we are practicing it! Focus on strengthening those older relationships in your life. Maybe it’s a personal connection like your college roommate you lost touch with or maybe it’s an old boss or mentor. Send them a quick text, or better yet, a phone call! Whether that’s spending five minutes today meditating, taking a mindful walk around the block, or even just enjoying an orange slice in the present moment. Notice how it feels to be in the moment, and remember you can do it whenever you’d like! Part of adulting is finding your voice! Stand up for yourself today. We all have that running tape, that voice inside, that’s talking to us all day. You know the one who says you shouldn’t have said that or done that or you should have said or done things differently. Well today is the day to be bold. To speak out loud. To advocate for yourself. Whether it’s with that inner voice and telling it to pipe down, or standing up for yourself at work or in another relationship. Looking for some ideas? How about dropping one of these harmful communication tactics. Day 29: Try a new wellness trend. Interested in reiki? Kundalini yoga got you curious? Or maybe you just want to try those collagen eye masks that everyone has been talking about? Pick a wellness trend to try and actually try it! Need some inspo? Check out the wellness trends I’m all about in 2018 here. Day 30: Write a reflective letter to yourself – either past or present. Ahhh part of adulting is gaining self awareness from all the experiences we’ve had so far. Take some time to write a reflective letter either to your former self or your future self. Focus on things you’ve learned and how you’ve grown. If you need some inspo, you can check out the advice I’d give to my 18 year old self here. Day 31: Set your intentions for next month! Holy moly! The month FLEW by! Can you believe it? Now is the time to set your intentions for the new month! Write it all out! Maybe you didn’t do something on this list? No worries! Shoot to get it done next month! This was meant to dabble in a few areas, but maybe while going through hit you felt like you needed more energy or focus around finances, or self care, or the home, or relationships, maybe set that as a sole intention for the new month! Looking to reach more of your goals? Grab TCM’s Goal Setting Guide! And don’t forget to share on social using #31daysofadulting and tag me! Look at Hugs and Lattes already jumping on it LESS than 24 hours since it went live!! Keep sharing with me you guys! 175+ Pinterest Group Boards To Explode Your Blogs Growth! WTF Is This Woo Woo Stuff & How Does It Fit In?